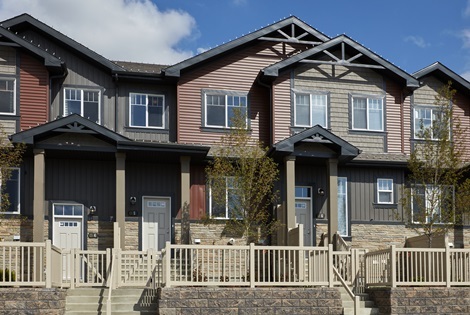 Grove Townhomes features condominium row townhouses with single and double attached garages, as well as individual maintenance-free yards and a pet-friendly community. Take advantage of every minute to play at the Residents' Association next door or run free in the green spaces. With nearby parks, Grocery stores, future schools and easy access to major roadways this is the perfect place to call home.